Over the past 12 months, the Bascom Group has completed more than $1 billion in transactions throughout the US, targeting value-add multifamily in infill areas with high barriers to entry. 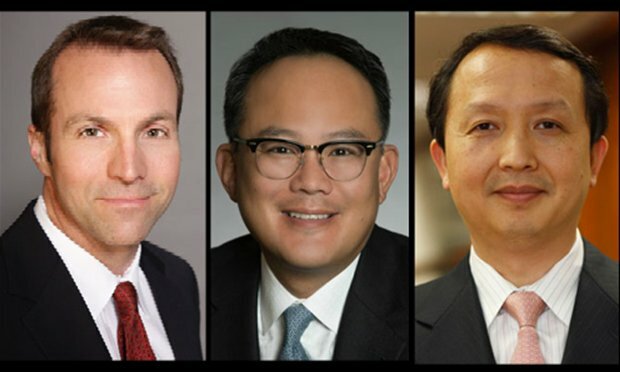 The Bascom Group’s principals, (from left) Jerome Fink, David Kim, and Derek M.D Chen. Over the past 12 months, the Bascom Group has completed more than $1 billion in transactions throughout the US, targeting value-add multifamily in infill areas with high barriers to entry. Many of these assets are distressed and come with a number of issues that may give traditional investors pause. But they can be overcome with a well-planned strategy and effective implementation—which is Bascom’s sweet spot. The angst of Tax Day has come and gone.